Although there is quite some dimension in the flowers, I wanted to add some more. So I used distress inks to make the innermost petal a shade darker than the rest. I hand drew the stems and hand cut the leaves. The sentiment is a Paper Smooches stamp. Simple can be so pretty! Nice job putting all those tiny flower pieces together. OMG that's a lot of work but just beautiful!! Thanks so much for playing in our ‘ANYTHING GOES with a *NEW* TWIST’ challenge at Dies R Us! Please come back again soon! 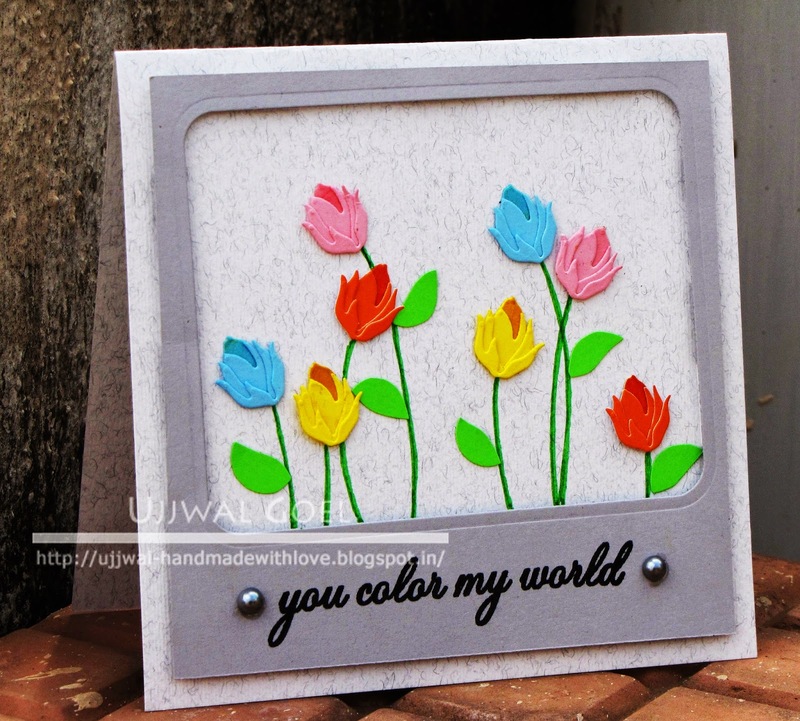 Beautiful card Ujjwal! The dimension you have created with the flowers is fantastic. Love all of the different colors. Thanks for joining the Dies R Us January "Anything Goes With a NEW Twist" Challenge.